I’ve always loved wallets. I remember my first blue and black velcro wallet. In high school in the 90s, I had a few of those big fat billfolds with the super-large accordion-style holder for all those wallet photos of proms and senior pictures. I don’t even remember why I thought carrying it in my back pocket was comfortable! 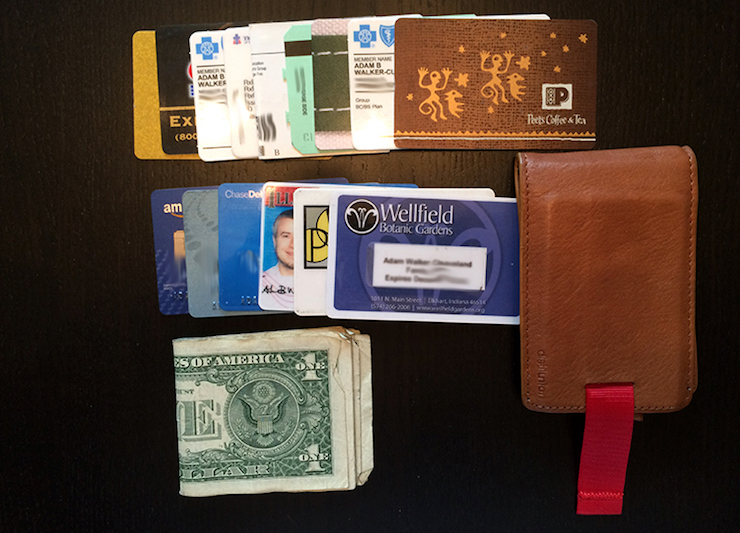 But about 10-15 years ago, I started wanting a more minimalist wallet – slimmer, smaller. My first year of seminary in 2004, I saw someone who had a nice thin wallet/money-clip. Turns out he got it for $10 at Kohl’s; I went and got the same one. That wallet lasted for 10 years, and just recently, I needed to replace it. And during that process, I ran across the best slim minimalist wallet for men that there is right now. Or at least I think so. 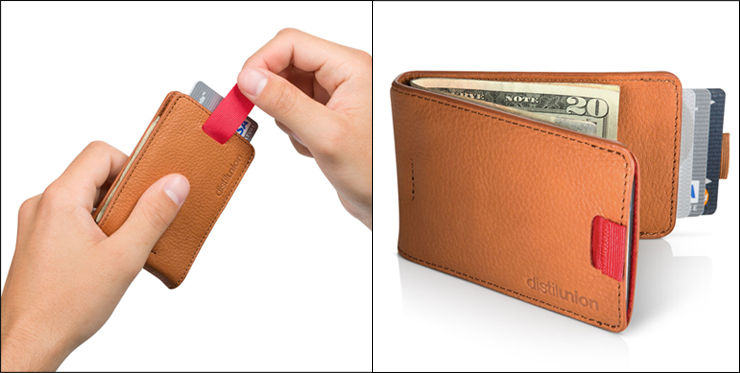 And that wallet is the Wally Bifold from Distil Union. After searching through all of the blog posts out there like “20 Best Minimalist Wallets for Men” or “5 Best Slim Wallets for Men” – I ran across the Wally from Distil Union. It’s made from this amazingly soft Argentine leather, which is incredibly durable and also very soft. The way it’s made helps it lay flat when it’s sitting on a table, as opposed to some other “minimalist/slim” wallets I got on Amazon. Some of them were flat before you put anything in it – but as soon as you loaded them up with the cards you wanted, they wouldn’t even lay flat. At first I wasn’t sure about the pull-tabs and how I would like them. And it does involve a small amount of strategy to figure out which cards you use most often, and then to simply place those in the right place in the wallet. I’ve been using my Distil Union Wally for a few months now, and I love it. I think it’s a well-made product with a great team behind it. I should note that I had some stitching that was coming undone a little bit on one of the pull-tabs. I contacted customer support and they both provided a fix for the problem (see here for more info) but they were also willing to provide me with a replacement. Note: they have now moved to a box stitch on the wallet, so the fraying threads shouldn’t be an issue on the Wally anymore. The description of the wallet says that it will hold 12 cards – but I’m currently holding 15 cards in mine, and it doesn’t feel bulky at all. You’ll notice in the image below, there isn’t very much of a difference in height of the wallet between when it’s empty or full. Since it’s leather, the leather pockets will stretch out a bit, depending on the number of cards that you put in. So, if I were to suddenly decide I only want to carry four cards with me, the pockets would really be too loose for me to do that. So, my advice would be to start with the fewest number of cards that you think you can get by on, and then add some as you find needs for them. If you’re looking for a nice, sleek, slim, minimalist and unique wallet (I’ve had many people ask me what kind of wallet it is when they see me access my cards with the pull tabs) – then the Wally Bifold from Distil Union. It costs $59.99 – which might feel like a bit of an investment, but it feels like an amazing wallet when you’re holding it. And Distil Union is even ready to give you some tips to slimming down your wallet, so you can get going with your new Wally Bifold as soon as possible. Get your Wally Bifold from Distil Union today!